It's 1997, and Square (not yet merged into the demon known as Square Enix) is dominating the North American market thanks to Final Fantasy VII. Ten years of failure trying to push the RPG genre into the mainstream make an abrupt about-face when, thanks to a combination of accessible gameplay, killer graphics, and one of the biggest marketing campaigns of all time, this game explodes onto the video game market. Overnight, Square tightens an iron grip on the video game industry that would put it at the forefront of game development for nearly a decade, Sony finally scores a killer-app that gives it a legit leg up over the Nintendo 64, and all of a sudden, everyone becomes a fan of the RPG genre. Square concocted a perfect storm of success with Final Fantasy VII, one comparable to that of Minecraft relative to the size of the video game industry in those days. Over its life, Final Fantasy VII would go on to sell 11 million copies, making it the best-selling non-Pokémon JRPG of all time, and it forced a generation of RPG nerds to forever worship the name Final Fantasy. So, how did Square follow up on this unprecedented success? Well, it started off on the correct foot with another instant classic from the same series: Final Fantasy Tactics. So far, so good, right? Well, after that, Square used its surplus profits to get a little experimental, pushing out projects that would bend and defy the formula it spent the last decade and a half trying to establish…and nearly derailed its whole operation in one fell swoop with SaGa Frontier. In North America, Square gambled that lightning would strike twice and another of its long-running franchises would be able to break into its newly established fanbase. 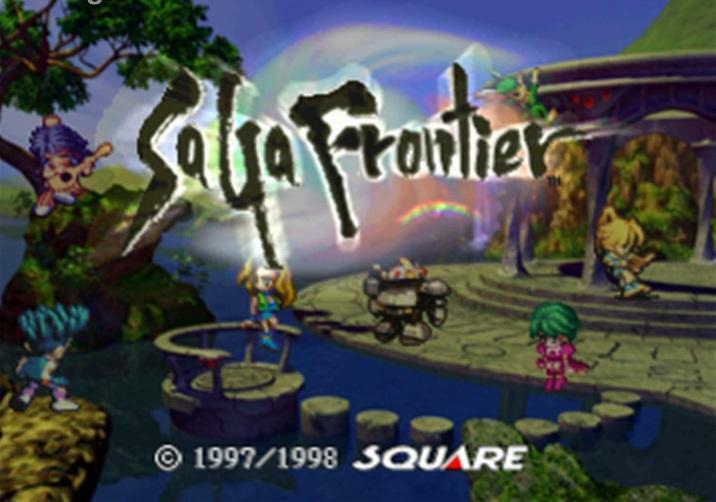 SaGa Frontier came to Japan first on July 11, 1997, a month after Final Fantasy Tactics proved that Square wouldn't be a one-hit wonder on the PlayStation. It was helmed by series creator Akitoshi Kawazu, a man with a reputation as polarizing as his games. And in his home country, SaGa Frontier did exactly what it was supposed to do: Please fans of a long-running series and carry that love and adoration into a new console generation. It's common knowledge among JRPG fans nowadays that Square left three games from the SaGa series unpublished in the West. Japanese were actually armed with the proper nostalgia and knowledge of the series to accept a new game. 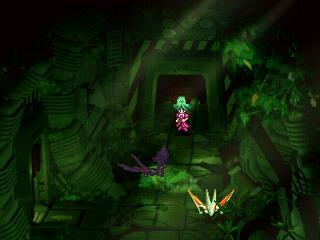 SaGa Frontier, much like Final Fantasy VII, is the seventh game in its own series. 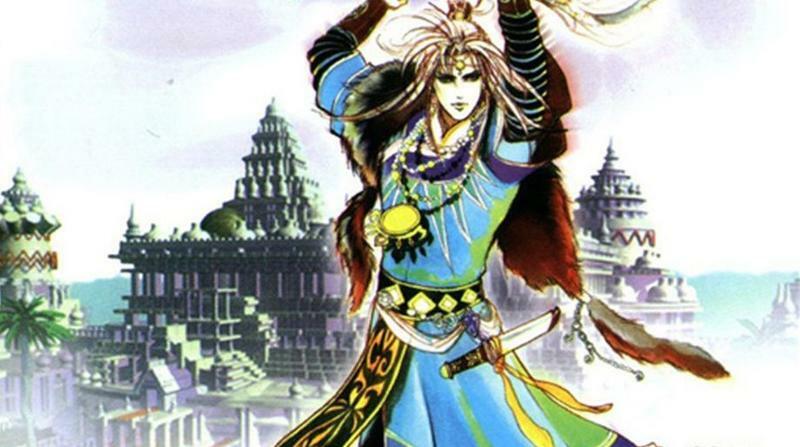 North America got the first three games in the series, localized as Final Fantasy Legends on the Game Boy, but it missed out on the series' most important years with the Super Famicom and the Romancing SaGa games. 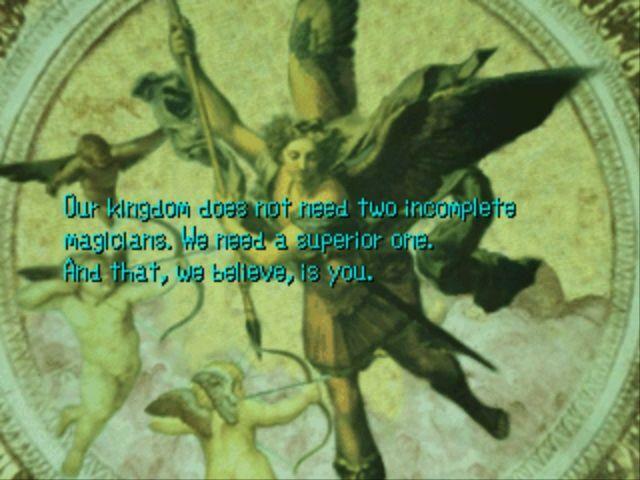 This gap in knowledge produced very different results for SaGa Frontier in all different regions. In Japan, they loved its retro graphics, rebellious mechanics, strange settings, open-ended progression, and awkward cast of characters. In North America, many thought, "This isn't the same thing as Final Fantasy VII," and immediately became repulsed. It was similar to the initial reaction many had toward Final Fantasy Tactics. However, the confusion about that game's mechanics came from a lack of understanding about the series' job system, something the relatively simple Final Fantasy VII lacked. 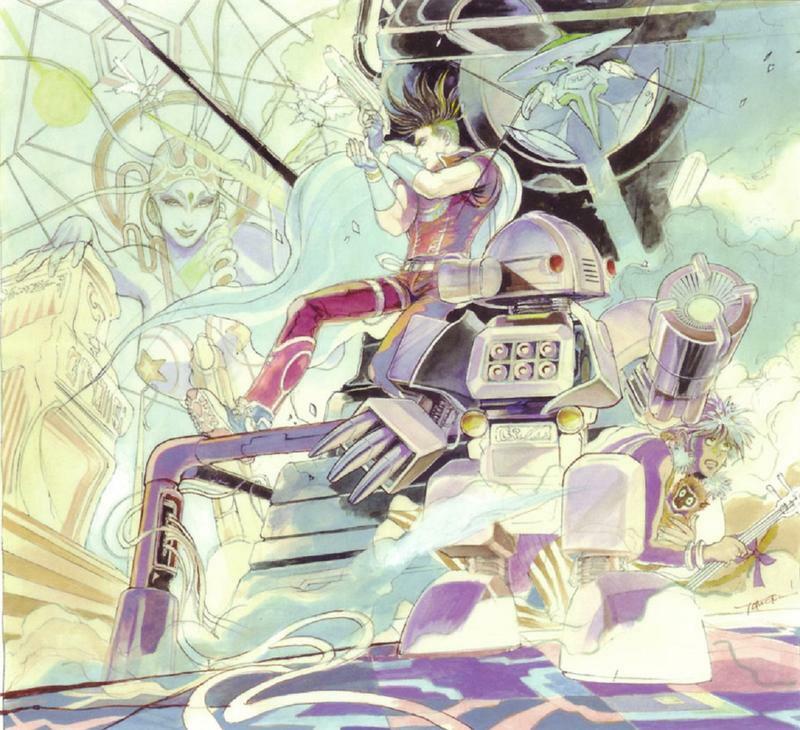 SaGa Frontier's issues permeated from every single element of its design. Myself, I've talked about my history with SaGa Frontier many times. I received it as a present from an uncle way back when, one who knew that I was into RPGs, and we played it together. The game stars seven main characters and seven adventures, and you better believe I pushed through all seven before I wore the game out. I really liked it despite the jeers of my friends and cousins. 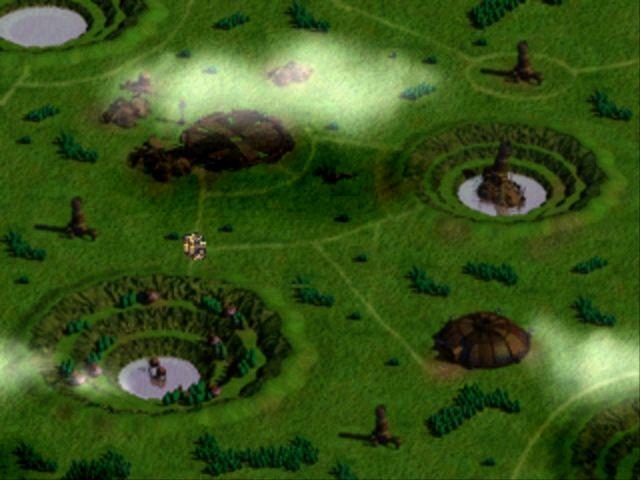 As time went on, the budding internet started to influence my thinking process, and I started to remember the game negatively, letting naysayers finally get the better of my memories. I remember as a young, first-gen internet cadet, I would make epic lists of my 200 favorite video games with SaGa Frontier tagged at the bottom for a laugh. "Ha ha… remember how I used to like this game?" And yet, like Chrono Trigger, Super Mario RPG, and Suikoden, it remained in my mind over all those years and still resides as one of the games I most frequently go back to. As I grew to understand it more and more well after its initial release, it rebounded its way back up into my good graces and now sits tall among my all time favorites. 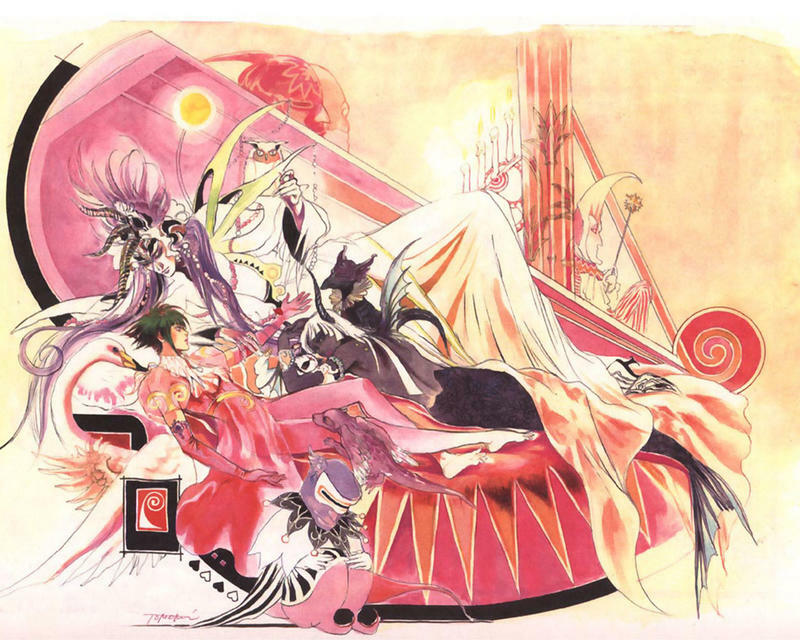 If I were still making those epic 200 entry lists, SaGa Frontier is an easy crack at top 10. 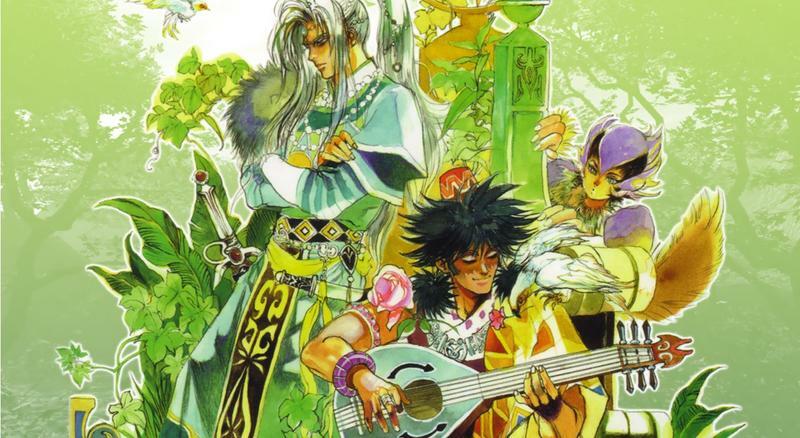 SaGa Frontier is a game for those who like to dig. On the surface, it's a fairly simple RPG with a standard battle system and nothing too offensive leaping in your face. Each of the seven quests has their varying levels of complexities, but Square graciously eases you in with a simple introduction at least. 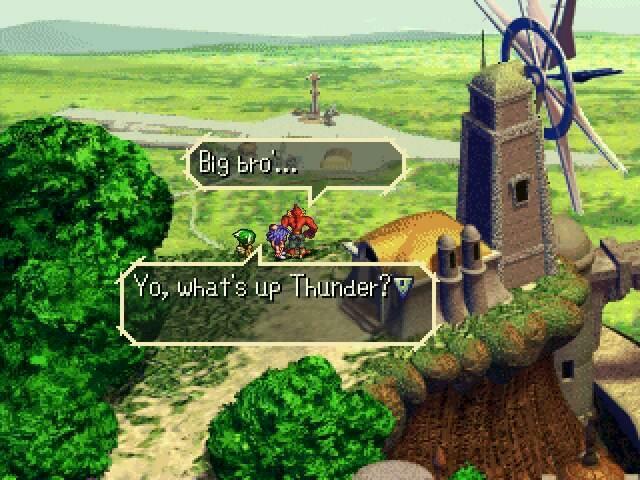 Once you start digging into the randomness of learning new skills or really exploring the possibilities of the combo system, you'll realize SaGa Frontier is anything but normal. 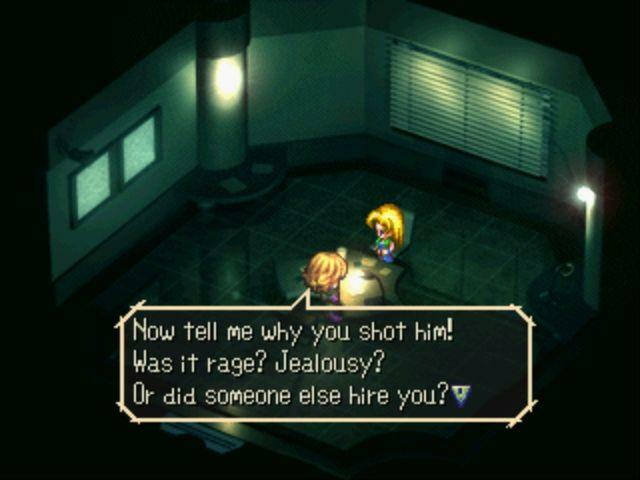 Abilities are learned entirely by chance in SaGa Frontier, at least for the human characters. Unlike most games, where you save your points and sink them into whatever ability you desire, SaGa Frontier's attacks are all learned on the fly in battle. Primarily with Swords and Fists, the more you perform a special attack, the more likely you are to get an improved attack somewhere down the line. 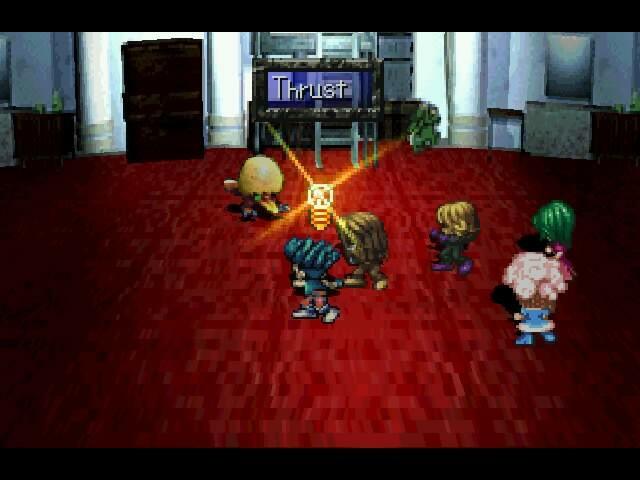 To me, there are very few more exciting moments in video games than seeing those lightbulbs appear above a character's head in Saga Frontier. It's like coming across a Pokémon you've been meaning to catch in the wild. Guns and Magic aren't quite as exciting since you learn those abilities randomly at the end of a fight, but still, you'll be just as pleased to try out your new attack in the next battle. 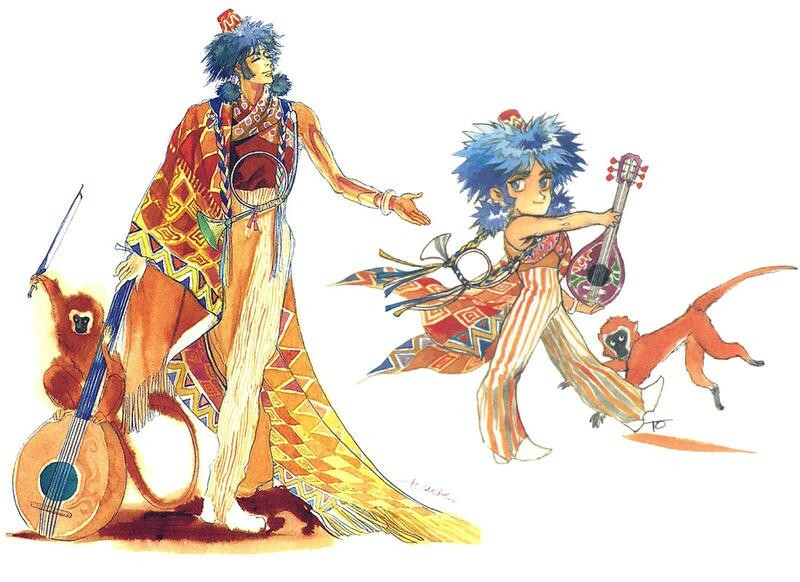 SaGa Frontier also is home to three other races, Mystics, Monsters, and Robots, none of them as customizable as humans. Mechs can equip any weapon, armor, or item in the game, and each piece of equipment will boost their stats in a specific way, be it a boost in HP, attack, whatever. The metal creations also learn abilities by defeating other mechs and pulling the information from their memory systems at the end of battle. Mystics use their magic, but their true value comes from draining monster abilities into their native weapons: Mystics Swords, Mystic Boots, and Mystic Gloves. Three monster attacks can be held at a single time, and only by killing another enemy and absorbing it into the weapon can they change those abilities. Monsters are the most useless of the bunch since you can very well become much weaker through their defining mechanic. Monsters can take the form of fallen enemies by eating their dead carcass, and this meat will either boost or reduce its stats compared to the previous form. Any ability your monster gets will be implanted in its brain and be useable forever. Eat enough meat, and it's possibly you'll become the strongest monster in the game. Not likely though since this mechanic is admittedly FUBAR. On top of learning abilities and managing the quirks of each race, the combo system is where SaGa Frontier finds the most depth. I can't even begin to explain how it works because after 20 years, I still don't know! Just look at a quote from the most popular FAQ regarding combo attacks. Remember, none of this is spelled out or even hinted at in the game. 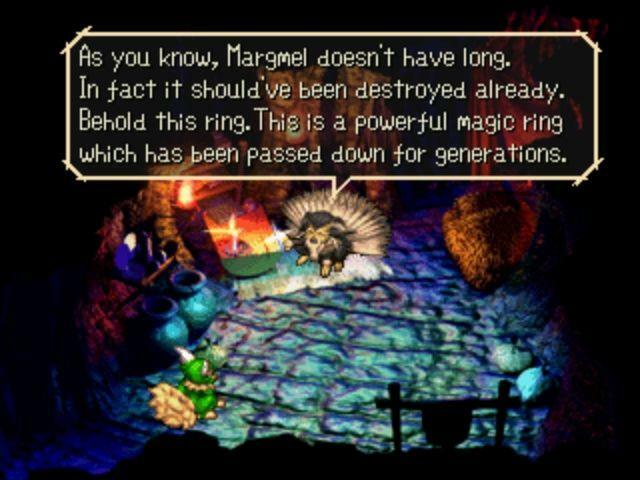 One of the most common complaints about SaGa Frontier and one reason why its fans like it so much is because it really pushes you to find out its secrets all on its own. Mechanically, forming combos works very similarly to how it works in Romancing SaGa: Minstrel Song (PS2). In SF, there are eight combo characteristics: Dead Stop, Down, Instant Stop, Move, Hot, Cold, Black Out, and Snow. Each characteristic can be Sent and/or Received, and each ability Sends and/or Receives its own combination of the characteristics. Basically, in order to form a combo, two abilities need to occur one after the other, and the first needs to Send at least one characteristic that the second Receives. For example, StunSlash Sends Down, and DoubleSlash Receives Down, so you can make the combo StunSlash – DoubleSlash. However, since DoubleSlash doesn't Send any of the characteristics, you can't make the reverse combo DoubleSlash – StunSlash. StunSlash Sends Down, which Smash Receives. Smash Sends Instant Stop, which HardSlash Receives. HardSlash Sends Down, which BearCrush Receives. BearCrush Sends Instant Stop, which Heaven/Hell Receives. Yeah, the game doesn't tell you any of this when you are playing. You're on your own to find out all of this information. 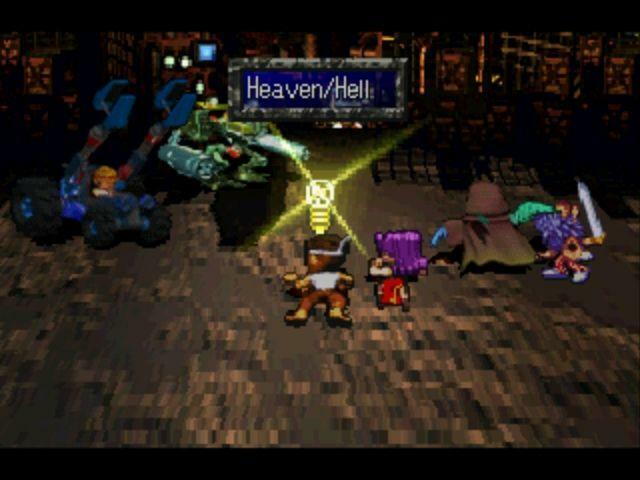 It's not as overbearing as the infamous Ogre Battle: March of the Black Queen on Super Nintendo, but the depths of SaGa Frontier and the lengths you'll have to go to master them far supersede Final Fantasy VII or any of its contemporaries. As we near twenty years of existence, we also must (once again) point out that SaGa Frontier is stuck on a CD and not available digitally anywhere in the English-speaking world. Square Enix was an early, active supporter of PSOne Classics back in the days of the PlayStation 3 and PS Vita, but it stopped shy of completing its legendary line-up from the console. The SHMUP Einhander is one such game that never got a digital release, as well as its excellent Legend of Zelda clone, Brave Fencer Musashi. 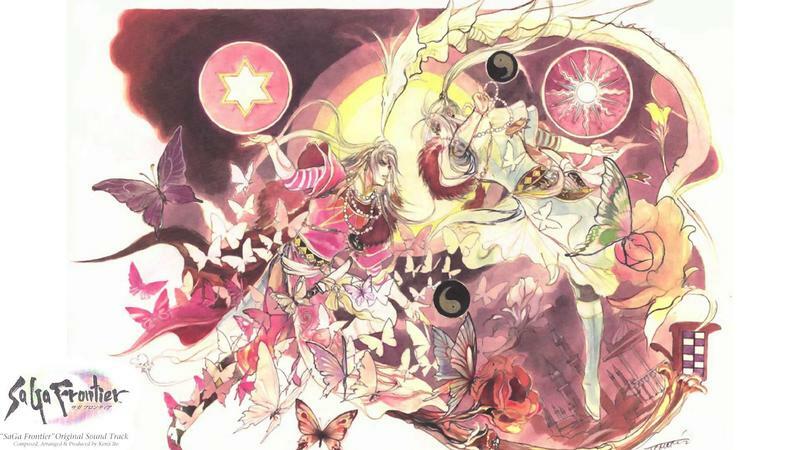 However, SaGa Frontier is the one I would most like to see playable on my PS Vita. Its open world and mini-adventure design make it a perfect handheld experience. The game is available on the PlayStation Network in Japan, but North Americans never got the chance to pick it up again. 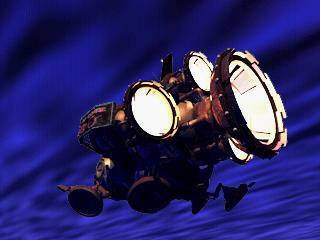 No doubt, the game's reputation in North America as "bad" led to some executive decision, bringing down the hammer and disqualifying it for quality control's sake. The fact that is game was infamously not finished also might have played a role in that decision. Whatever the reason, it is a decision I can't agree with. Not just because I adore the game and think many more can thanks to the open-minded atmosphere that indie gaming has injected into our cynical demographic. I disagree with the decision because it allows Square Enix and Sony to filter out gaming history, dictate which games are worthy of preserving for future generations and which games are "not good enough" for them at any rate. What decisions like this does not allow is for gamers to choose for themselves what they like.